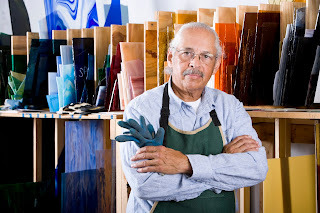 For many retirees, working part-time is the best of both worlds because it brings in some income while allowing time for leisure activities. The good news is that there are plenty of options out there—from working at retail stores to being a tour guide to driving around others. 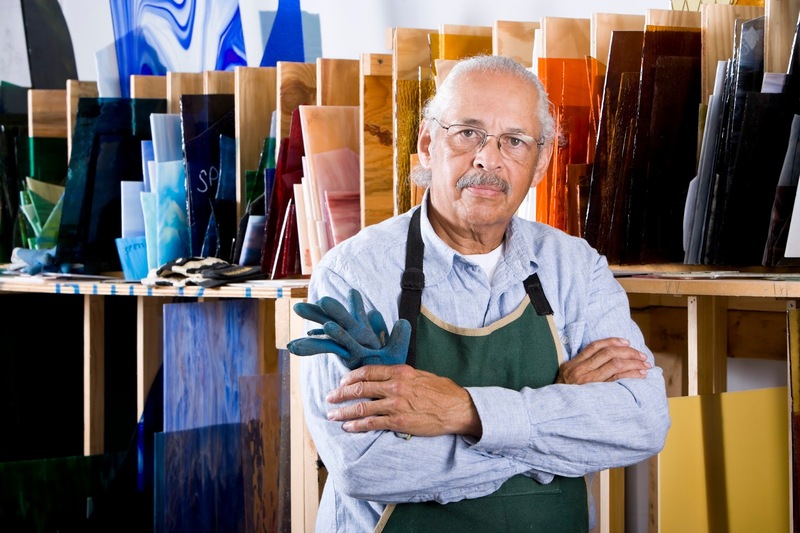 For many retirees, working part-time is the best of both worlds because it brings in some income while allowing time for leisure activities. Plus, having a job keeps you involved in the world, which research on aging has shown keeps you sharp and happy. Surveys indicate that many Americans plan on working in retirement, for financial reasons and to stay active. The good news is that there are plenty of options out there—from working at retail stores to being a tour guide to driving around others. Some jobs require professional education, while others use life skills. Pay varies according to skill level. Bookkeeping. For those who like to work with numbers, bookkeeping can be a good part-time job because many small businesses can’t afford a full-time bookkeeper. In most cases, you’ll need to be a certified public accountant. Similarly, accountants are highly sought-after, and tasks may include preparing financial reports, processing payroll checks, invoicing and tracking down delinquent accounts. Many bookkeeping and accounting jobs can be done at home, although some places require your physical presence. Child care. Many busy parents need someone to help out with their children, whether driving them to and from school, taking them to swimming and music lessons, picking up groceries for the kids’ dinner or watching the youngsters until the parents get home from work. Seniors’ maturity is a bonus for parents looking for someone responsible. Consulting. Using the skills and knowledge you’ve gathered from your work life, you can hire yourself out as a consultant, working as little or much as you like and from your own home. You can find jobs through companies you’ve worked for or use contacts from past business relationships. Alternatively, many companies need people to come in on a project basis or are looking for freelancers to fill gaps in their staff. Customer service. Because older workers tend to be more polite and easygoing than younger ones, companies have good reasons to hire them for “help desk” jobs that require diplomatic public interaction. These jobs often can be done by phone and at home. E-business. The Internet offers many possibilities for part-time work, especially for those who can create their own business. Can you offer a product (books or records, for example) or service (at-home exercises, cooking lessons, travel guidance)? Also, you can make money as a broker for those who want to sell items on Craigslist or eBay. Driver. There are many job possibilities for people who are willing to drive others around, including drivers for special event limos, shuttle services (such as at an airport) and school and tour buses. Uber, the ride-sharing service, hires drivers who use their own cars to ferry clients around, and you can work as much or as little as you want. Generally, the only requirement for driver jobs is a clean driving record. Government. Many federal agencies have seasonal and part-time work; plus, the federal government forbids age discrimination. (To start, go to www.usajobs.gov.) Three federal agencies in particular—the IRS, the U.S. Small Business Administration's Disaster Assistance office and the Peace Corps—have been receptive to workers over the age of 50, although these may not necessarily be part-time jobs. In addition, the federal government has two programs aimed specifically at those 55 and over. The Environmental Protection Agency’s Senior Environmental Employment Program and the U.S. Department of Agriculture’s Agriculture Conservation Experienced Services Program are run through a cooperative agreement with a handful of national aging groups including the National Older Worker Career Center. The two federal programs provide the career center with available jobs (either full or part-time), and the center posts the job and screens candidates. You can also check out jobs in state, county and city governments. Handyperson. In an age where fewer people know how to make small repairs, a good handyperson is invaluable, especially helping older people who may not have full use of their arms or legs. This job allows you to work as much or as little as you want. Instructor. Many organizations need teachers for enrichment (noncredit) classes such as yoga, swimming, painting or cooking. Contact your local arts center or parks and recreation office, or start your own class, using your skills. Tutoring is another option for instructional part-time work. Demand is high for adult literacy teachers working with students from different countries who are learning English as a second language (ESL). Please note that some states require ESL teachers to have an ESL certificate. Medical records. Health information technology jobs are expected to grow 22 percent between 2012 and 2022, according to the U.S. Bureau of Labor Statistics. This is a much faster growth rate than the average for all occupations. Candidates need computer proficiency, word processing skills and some knowledge of diagnostic procedure lingo and medical abbreviation. You should be comfortable working with electronic health records systems. Employers range from doctors' offices to hospitals. Nonprofits. Although the pay may not be as good as in the business world, many nonprofits offer more flexible schedules and part-time work, and welcome seniors who are enthusiastic about the organization’s mission. Nonprofit jobs can be fulfilling, especially if the organization supports a cause you believe in. Because of the lower pay, there is less competition for the job. Personal assistant. Similar to child care, many busy professionals can use help with all kinds of tasks, including running errands, walking the dog, organizing the house or preparing meals. Retail. Many retail businesses offer part-time work and a flexible schedule, ideal for seniors who want time to play golf or babysit the grandkids. For those who are social, retail work is an easy way to interact with people. Retail jobs include cashier, greeter, stock room associate or even management positions. Consider what you excel at and enjoy. For example, if you are a seamstress, look for a job at a fabric store. If you love the outdoors, seek out stores that sell hiking or camping equipment. Check out local stores, especially ones you already patronize, or look for a major retailer. For some of most senior-friendly employers, see the sidebar. Keep in mind that employers need to increase their staff during certain seasons such as holidays, gardening season and back-to-school. Teacher's aide. If you’re interested in working with children, this job provides plenty of interaction and can be done on a part-time basis. Responsibilities can include grading papers, setting up equipment, entering data into the computer or providing one-on-one tutoring. Teacher’s aide positions may require education beyond high school or on-the-job training. For more information, visit the websites of the American Federation of Teachers and the National Education Association. You may also want to consider temporary seasonal positions. These jobs, which last only a few months, such as garden centers, are good for those who like to travel. Tax preparation. Tax-related positions are ideal for those willing to work hard from January through April. You can create your own business or apply with big accounting firms or tax preparation businesses, such as H&R Block, looking for extra help. Some of these companies provide tax preparation classes free of charge if you work with the company during the tax season. Tour guide. This seasonal job is often in the warmer months, and tour jobs may include showing tourists around historical monuments or local sight-seeing attractions. This is a good opportunity for those who want to share stories about where they live, especially with people coming from elsewhere, and enjoy the challenge of making the information interesting and lively. You can also devise your own business if you’re familiar with the landmarks where you live, such as a walking tour of the historic downtown or a visit to the city’s well-known music spots. Sports. Another seasonal opportunity is working for sports teams, whether football in the winter or baseball in the summer. These jobs include ushering, selling hot dogs or handling tickets. Similarly, many local teams, such as high school programs or youth and amateur leagues, need coaches, referees, umpires or scorekeepers. It’s a chance to enjoy your favorite sport while working with young people. Convention Center. Because conventions are temporary, convention centers in major cities offer part-time jobs, good for those who want occasional employment. Jobs include positions as a nurse, parking lot attendant or cashier, set-up worker/cleaner, usher or information booth attendant. There are also often food service opportunities, such as line cooks or servers. Retired? Part-Time Work May Be Just the Ticket was featured in the July Senior Spirit Newsletter.